Born in 1976 and 1971, work in Rotterdam. Dutch studio Wieki Somers comprises designers Wieki Somers and Dylan van den Berg. Since 2003 the studio has earned an international reputation for the way its work introduces extraordinary fantasy in the most common things. Developing a deep sensitivity for materials, technological detailing and a highly demanding finish, it aims to provide an enlightened reading of our daily environment. Through this restless experimentation with useful objects – their shapes, material and meanings, the way they are made and the way they are used – the studio’s work questions our aesthetic impulse in a subtle and often contradictory manner. The studio undertakes commissions for international manufacturers, museums and galleries, and has enjoyed an intensive relationship with Galerie kreo in Paris. It has received numerous awards and its works are in major museum collections, including the Museum of Modern Art in New York, the Centre Pompidou in Paris, Museum Boijmans Van Beuningen in Rotterdam and the Victoria and Albert Museum in London. 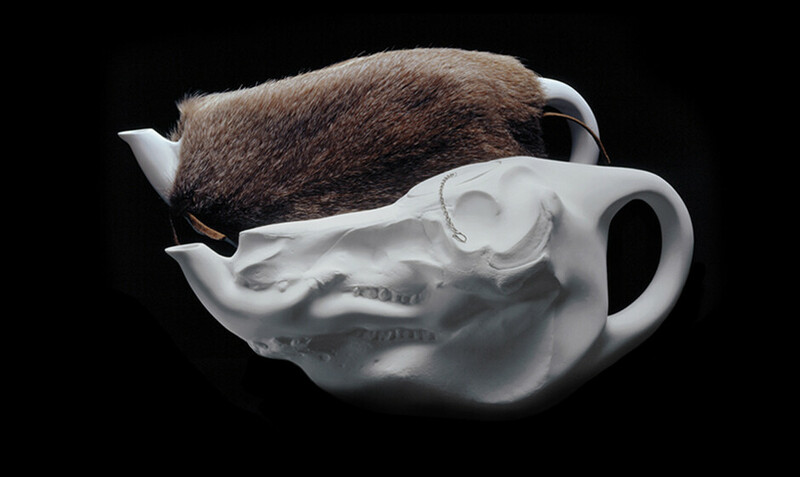 Porcelain, muskrat fur, stainless steel and leather.